Problems with your automatic transmission can make your vehicle unsafe to operate. With routine care and maintenance, it can perform better and last longer. The automatic transmission in your vehicle requires proper maintenance to prevent expensive repairs in the future. The automatic transmission is one of the most complex components in your vehicle. It is responsible for transmitting power from the engine to the driving wheels. This is done through a series of gear sets and the use of a torque converter. The transmission relies on many different parts to run properly. Maintaining your transmission is just as important as changing your oil or rotating your tires. There are some things that you can do to help you avoid problems with this very important component. Every time you stop for gas, pop the hood and check the level of your transmission fluid. If you notice that it is low, there may be a leak. Check the area where you regularly park your car. If there is a puddle or sign of a leak, consult your local mechanic as soon as possible. Driving with low fluid can cause severe damage to your transmission. Your transmission fluid needs to be changed about every year or every 15,000 miles. You should consult your owner's manual for recommendations for your specific vehicle. Your fluid should be changed more often if you notice that it has become dark in color or dirty. If you notice changes in the performance of your vehicle, ask a certified mechanic to check it out. Problems with shifting, hesitation when cold, loss of power in gears, and grinding or whining noises can all indicate a problem with the transmission. Do not wait until the problems become worse, this can only cause more damage, which results in expensive repairs. One of the main causes of transmission failure is excessive heat. Problems with your vehicle's cooling system can negatively impact the other components of your automobile. Towing or hauling large loads can also cause your vehicle to heat up excessively. As your engine runs hotter, the transmission fluid breaks down more quickly, damaging crucial parts and components. If you have been running your engine hard, be sure to visit an auto service shop more often for transmission service. Switching gears incorrectly can also damage your transmission. Always come to a complete stop before shifting into park or reverse. Try to make smooth transitions when shifting gears. Rocking your vehicle back and forth in snow or mud may result in damage as well because this action causes the temperature of the engine to get excessively hot. Early diagnosis of a problem is crucial to saving you money and damage. Even the smallest issues can lead to major repair bills. The longer you drive with a malfunctioning transmission, the higher the repair costs will be. There are some other common engine problems that may present themselves in a similar fashion as transmission failure. The best thing you can do is have an automotive professional look at it and make recommendations for repairs. The transmission is a complex system and should only be worked on by a trained specialist. Mac Allen is the location manager of Havoline Xpress Lube in Kernersville, NC, providing maintenance and repairs for all types of vehicles. Thinking about neglecting your vehicle's motor oil change needs? Then you need to read and heed our (tongue-in-cheek) ten commandments of motor oil change and basics! Do you know what kind of engine is in your vehicle? Is it a 16-valve? A turbo? If you're not certain, it's time to find out because you cannot choose the most appropriate oil for your vehicle if you haven't a clue as to what kind of engine operates as its heart. There are oils for high mileage vehicles, oils with special additives, oils that clean your engine, cheap oils, expensive oils, synthetic oil blends, motor oils made with minerals, practically any type of oil you can name...so which do you choose? Truly, you have to be a wise consumer and educate yourself on what motor oil is the best for your vehicle. Asking around may be your best bet; it's likely that a friend or acquaintance who loves cars can give you practical suggestions and the advice won't cost you a penny. Most vehicles are going to require that you change motor oil every 3,000-5,000 miles (the lower end is especially critical if your car, truck or van has logged a significant amount of miles). Changing the oil can be handled by you (if you're comfortable with the task) or by a professional (and most can do a quick 10-minute oil change). The most important thing is to make certain that you protect the engine by keeping it clean. There are numerous brands of motor oils on the market, but not all of them will have the available spending dollars to advertise on national channels. Therefore, it's important that you do a little homework to find out what brands are actually available to you. It's guaranteed to be an eye-opening experience, especially for the person who is looking to become better acquainted with his or her vehicle. You know you have to change motor oil in your car, but do you understand why? In a nutshell, motor oil serves as a constant lubricant to prevent grinding and exorbitant amounts of heat in your engine. It also helps clean your engine by preventing build-up. Without oil, an engine would eventually overheat or "seize up", and that's a costly problem. In fact, if you neglect to keep your engine well-oiled, you will soon be faced with a very grim choice; put a new engine in your car or purchase another vehicle. Ouch. Unless you've been living under a rock, you've probably seen plenty of commercials touting the horrible substance known as "sludge". Sludge is a black, tar-like goo that builds up in your engine and can mean its death. Protect yourself by purchasing the best kind of motor oil for your vehicle's type and engine that you can afford. Many car company websites will suggest a type of motor oil that's perfect for the make and model you've purchased. Maybe you have a sports car or a truck that isn't used on a regular basis. If it's kept in storage, it's being protected on the outside, but is it being protected on the inside? To keep your motor oil running through the engine, it's a good plan to start up your vehicle every month or so. And if weather conditions permit, there's nothing better for a car's engine than a nice Sunday drive, especially if it's been sitting idle for weeks. Though it sounds sensible to "mix" a little of one oil with a little of another, remember that the motor oils were not created to work with other oils. For instance, a mineral-based motor oil probably isn't going to perform at its best if it's mixed with a synthetic oil blend. Though your vehicle's engine won't be seriously harmed if you do "mix" (especially in a pinch), it's not suggested. There are specialty oils known as "flushing oils" that are meant to clean your engine. However, they are not meant for driving due to their water-like consistency. If you do drive with this kind of flushing oil in your engine, you can expect to travel a very short distance, so bring comfy walking shoes for that sad trot home. More may be better when you're talking about your paycheck, but it isn't better when you're discussing how to change motor oil. "Topping off" the oil in your engine is a big "no-no", as you can rupture the seal, causing a "leaky" engine. This, in turn, leads to oil getting on collateral parts such as the flywheel, clutch and other nearby items. Just put in as much as your engine needs and enjoy the ride! Tim LaGanke, Jr. is president of QuickChange Oil, a 10 minute oil change center, with locations across Cleveland, Ohio. QuickChange is currently seeking applicants interested in the oil change franchising business http://www.quickchangeoil.com. Please contact LaGanke at gank@quickchangeoil.com for more information. They say an ounce of prevention is worth a pound of cure, and when it comes to your brakes, this is definitely true. Whether disc or drum, these devices are responsible for stopping thousands of pounds of swiftly moving metal every time you step on the brake pedal. As a result, they always inevitably wear out--it's only a matter of time. To avoid expensive brake service costs, it helps to know the following warning signs. If your foot brake does not feel firm when applied or if it starts to sink to the floor when you come to a full stop, odds are there's a fluid leak that's depriving your hydraulics system of the pressure needed to maintain proper operation. There's also a chance that your master cylinder is worn out or leaking and may need to be replaced. Either way, the problem requires immediate attention from a brake service professional. If your vehicle noticeably pulls to either side when you come to a stop, it's often an indication that the stopping device is misaligned. The good news is that this problem is relatively easy and inexpensive to correct. The device must simply be adjusted by a brake service professional. But if you make the mistake of ignoring the issue, it will almost certainly result in uneven wear that may adversely affect the operation of your automobile and lead to more costly future repairs. 5 maintenance tips to keep your car going! The most annoying auto repair issues for a car owner are not the dents and part replacements that come with accidents and age, but the minor problems that turn into big repair bills when left unattended. There are basic maintenance measures that can be taken to help avoid major car issues. Below are five preventative maintenance tips that will help keep your car running at its personal best! 1. Changing Oil - Sometimes, it's just that easy. Forgetting to change the oil regularly is a leading cause of engine breakdown, and the easiest aspect of engine maintenance to forget. Each engine has a different interval of how long it can go without an oil change, but generally between 3,000 and 5,000 (tops) miles is suggested. Taking a whiff of your current oil supply can be a more analog and definite way of gauging as well; the worse the odor, the more you need a change. 2. Tire Inflation - This seems like an aspect of auto inspection to balk at, but regularly filled tires are not only safe, they are cost effective. If a tire is full, the extra lift provided makes an easier time for the engine to move the car. This makes for a lower fuel bill as well as avoiding a dangerous and potentially lethal tire pop on a busy road. 3. Tire Wear - Monitoring the wear and tear of a tire's treads is both useful and indicative. Strong tire treads are not only useful but necessary for driving in icier climates, where they aid in safety and mobility. Monitoring the treads and wear of your tires can also indicate larger car issues, like wheel alignment and balance. More worn in treads on one side of the car means the weight is unbalanced, which leads to higher repair bills and uneven auto maintenance. Catching an alignment issue earlier will insure a less costly visit to the car mechanic later on. 4. Air Filter - The air filter is kind of like your car's wind pipe. Every auto inspection should include replacing the air filter, because if the air filter becomes clogged or too dirty it can decrease the air flow to the engine. This results in dirtier moving parts, as well as reducing an engine's performance and fuel efficiency. Just like changing oil, there isn't really an exact benchmark to change your air filter. An air filter's life span usually revolves around the environment in which you drive the car. Industry suggestions, however, hover around every 15,000 miles for driving on relatively sediment free roads. 5. Emergency Kit - Having an emergency kit in your car is a necessity that cannot be understated. Keeping even the most basic kit of a cell phone, a spare tire, hazard signs, and road flares is essential, especially in driving long distances. You are at the mercy of every driver on the road when pulled over; this is doubly scary on thruway conditions. Certain emergency kit items, like hazard lights and road flares, will keep you safe while you wait for the tow to the car mechanic. Little problems can grow into big problems at the drop of a hat. Do yourself a favor and keep regular maintenance on these simple auto repairs before peeves before your car becomes a money pit rather than an investment. Andy Paulson is a media representative for Rackley's Performance & Auto. Owner David Rackley is an ASE Certified mechanic located in Wilmington, NC. Proudly serving Jacksonville, NC and the Wilmington area, Rackley's Performance & Auto is a short drive from UNC Wilmington. Rackley's auto performance shop offers standard auto repair, auto inspection, as well as fleet maintenance. Remember, if your vehicle won't start, don’t stress! Just give us a call at 785-209-0500. 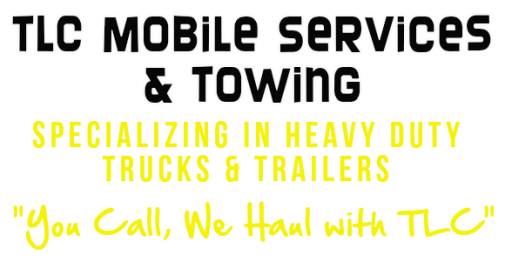 - See more at: http://www.tlcmobileservices.com/services.